While I’ve never been that fond of greatest hits records, they provide an opportunity to catch up on the songs that you would have heard had life not interrupted your otherwise peaceful existence. Such is the case with Hoodoo Gurus’ Gold Watch – 20 Golden Greats. There are the early favorites, timeless power pop faves like “My Girl”, “I Want You Back”, and “Death Defying”. For those who don’t have Mars Needs Guitars or lost their 45 of “Bittersweet”, that’s included, too. 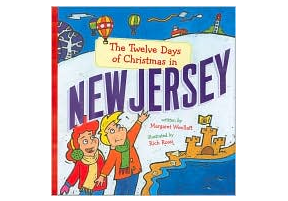 And if you’re one of the uninitiated and don’t know the song, then this is your wake-up call. “Bittersweet” may be the catchiest song in Australian power pop history. There are some wonderful nuggets from more recent days, too. 2010’s Purity of Essence had “I Hope You’re Happy” and that’s here along with “Crackin’ Up”. There’s even a track exclusive to this release. “Use-By Date” is a pretty damn good song, too. 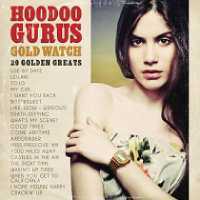 Get the CD version of Hoodoo Gurus’ Gold Watch – 20 Golden Greats at Kool Kat or the digital version at Amazon. Hoodoo Gurus "Gold Watch" Track-By-Track – #1 "Use-By Date” from Dan on Vimeo.